Thank you for sharing these lovely, sweet and funny postcards with us! 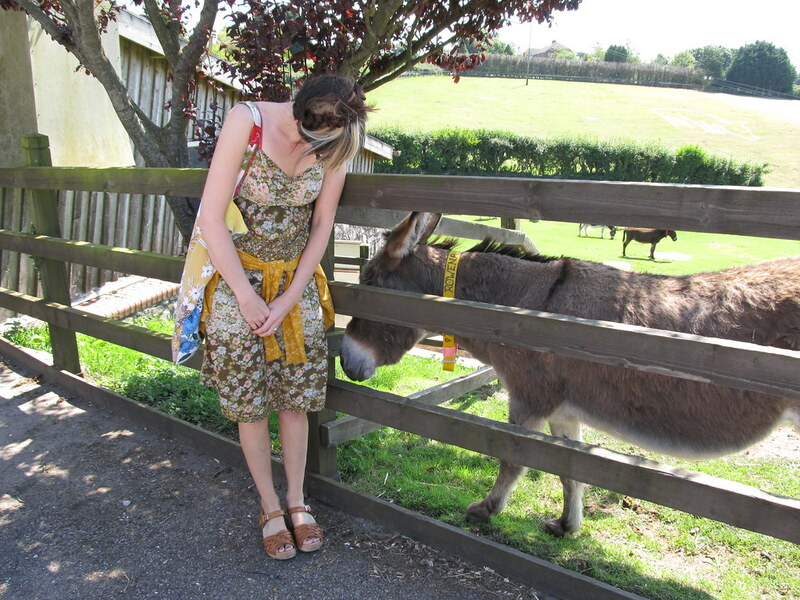 I love donkeys too, is this sidmouth? I loved it there. I sponsor a charity in Isreal which is run by an ex BA hostess - Safe Haven for Donkeys in the Holy Land - it does terrific wor! Thank you so much for the gorgeous post cards. And bless your woolen mittens (sorry if it's too early in the year) for your reasons for visiting the Donkey Sanctuary and for having a loving heart about these darling creatures. They have a bit of a rough ol' time where I live (in Greece) but I love them too. Now I patiently wait until you reopen your Etsy shop - it's my birthday this month and I've got a wish up my sleeve. Donkeys do certainly rock! Their soft muzzles, dainty feet and the odd hee-haw, what's not to love! I love donkeys because of the way they nibble your clothes with their lips. Lovely blog, I look forward to reading more. 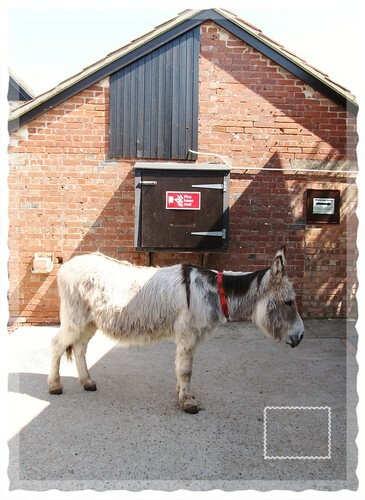 you are entirely correct about donkeys and their ears...they are soft and lovely and very willing to be rubbed....did you know i have a mini donkey called jubel? he is the best. and he does have an old soul....and he loves cookies. ah tif, you are a wise woman. cute hidden picture, love that dress you are wearing! Won't you please share the blog trick on how to link to a picture that is not actually showing in the post of your blog, like you do? saw you and your daughter in the barrel house - my heart missed a beat and feet stuck to the floor - then in a flash you were gone. so wish i had met you! next time! I love Donkies!!!! They are so cute and I cant help but take pictures of them!!! I love alpcas to. See I told you the sun would be good for you!!! I love donkeys, too. They always look like they are really cheeky and I'm wondering what is it that they are thinking of us all. I love donkeys too! At our local show -next to Devon in not so sunny Cornwall- we saw two donkeys with the most gorgeous eyes. The donkey is my fav shape for potential homemade christmas decorations 2011! denaz! i cannot believe it... oh how i wish your feet had not got stuck. i hope myself and my daughter were behaving ourselves when you spied us! bonnie, highlight the word with your handy dandy mouse then click on the link icon in your blog post window, a little window will pop up and in it you place the URL of your photo or indeed another web page. press save and voila! should work. Hi Dottie. I sent this post to my sister who reminded me of my favorite childrens book about a donkey whose ears got cold and his little mistress knitted him some pointed ear covers! Sending you lots of gratitude and joy.